Historically black colleges and universities in the United States were created when African Americans were blocked out of predominantly white institutions. Today’s climate is much different now that black students can attend the schools they were once not allowed to attend. This leaves HBCUs in a unique position. Does America still need HBCUs? As college enrollment numbers rise, with Black college students at their highest enrollment levels ever, the role of Historically Black Colleges and Universities, or HBCUs, have come into question. Before 1964, and even as recently as two decades ago, an increase in the number of Black young adults with college aspirations would have been welcome news for HBCUs. Today, more Black college students do not automatically translate into higher enrollment numbers at HBCUs because the college landscape has changed so drastically since the golden days of these institutions. Diversity recruitment programs on traditional campuses, the ease of online degree programs, and the rising credibility and offerings at community colleges have eclipsed the cornered market that was once enjoyed by HBCUs when it comes to enrolling Black and other minority students. HBCUs are still havens for the disadvantaged. 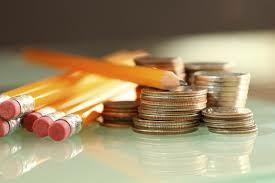 The achievement gap in K-12 learning may be narrowing, but it still exists. Even minority students who end up graduating from high school drop out of college at higher rates than their white peers. While all types of colleges are picking up on this weakness and looking for ways to retain students, many HBCUs stand out as examples of how to succeed at having students return after freshman year. A U.S. News ranking lists Spelman College (at 88 percent retention), Morehouse College (82.5 percent), Howard University (82.3 percent), Florida A&M University (79.5 percent) and Winston-Salem State University (78.3 percent) as the top five HBCUs for having students return to campus after freshman year. As a comparison point, the top 10 predominantly white institutions, or PWIs, had retention rates that ranged from 97.5 to 99 percent – BUT the retention numbers for minority students was lower. The campus culture and student-centric programs at these PWIs are stellar, but it also stands to reason that the students are attending top PWIs, like Brown University and the University of Notre Dame, are predisposed to staying in college anyway – while HBCUs have many more obstacles to overcome when convincing and encouraging their attendees to stay. HBCUs are also proving to be thought leaders when it comes to advancing rights for Lesbian, Gay, Bisexual and Transgender students, with Morehouse College offering its first LGBT course this past spring. HBCUs are blazing STEM trails. Many HBCUs are powerhouses when it comes to offering strong degree programs in science, technology, engineering, and math. HBCUs are important hubs for developing the greatest STEM minds in the nation, with 65 percent of all Black physicians and half of all Black engineers graduating from HBCUs. The Tuskegee University College of Engineering and Alabama A&M University of College Engineering, Technology, and Physical Sciences are not just top engineering schools among HBCUs – they are among the best in the nation. Spelman College is the second largest school in the nation that sends Black undergraduates on to medical school. Jackson State University receives the highest amount of HBCU federal research funding every year, at $68 million, and is known for its “research intensive” programs. Claflin University students work alongside the South Carolina Center for Biotechnology and receive hands-on industry training and connections in the field long before graduation. The Xavier University of Louisiana has a consistently top-ranked pharmacy program and is a sought out school for those hoping to advance to medical school. Florida A&M University consistently ranks at the top of all colleges that graduate Black students with doctorates in natural sciences and engineering. In June, Fayetteville State was awarded a $718, 000 government research grant that included plans to oversee STEM instruction to local high school students. The advancements these schools are contributing to STEM fields are not just relevant; they are groundbreaking and an asset to the industries the graduates eventually serve. They make college more affordable. As college costs climb, HBCUs remain reasonable options for earning college degrees and come with plenty of financial aid options in the form of grants, scholarships, and federal loans. HBCUs like Coahoma Community College in Clarksdale, Mississippi cost as little as $4,940 for in-state students for an entire academic year (before any grants or financial aid) or just under $7,000 for in-state students who choose to live on campus. Even out of state students get a pretty good deal – adding just $1,000 more to that total. Even HBCUs with top billing offer affordable routes for their students, like Howard University in D.C. that saw 52 percent of students in 2012 with their financial needs fully met. The financial assistance programs at HBCUs have an inherent understanding that their students come from a place where college may not be an option without the sound advice and financial assistance – and they step up to meet the needs of those students. 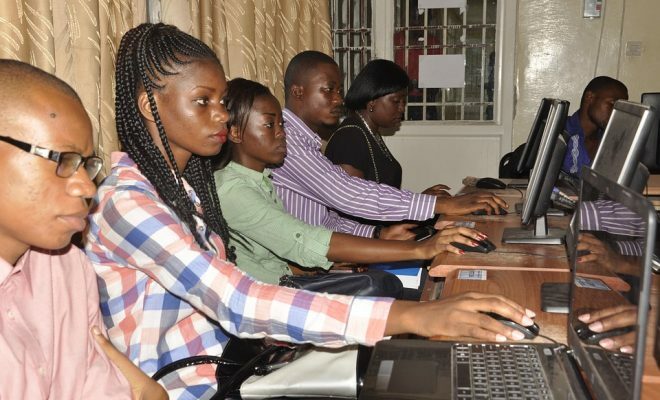 They adequately staff the workforce – and help graduates land jobs. During the latest Recession years, college career centers faced even greater scrutiny when it comes to helping students find jobs when they leave campus. The state of unemployed college graduates reached nearly crisis proportions at one point, with college graduates returning home to live with their parents after receiving a degree. HBCUs stepped up and worked even harder to help their graduates find the work they were qualified to accomplish after graduation. 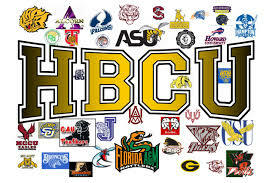 The 2012 HBCU Career Center Survey found that over 90 percent of HBCUs offered career workshops, career counseling, one-on-one resume writing help, one-on-one interview coaching, on-campus job fairs and on-campus interviews from prospective employers. Nearly three-fourths of the HBCUs in the survey said they also offered career development services for alumni. HBCUs are not simply training their students and sending them off blindly into their future careers; these schools are supplying well-equipped, highly-educated workforce members through connection programs that happen long before graduation day. They remind us that there are still battles to be fought. As much as I’m a proponent of diversity in all of our schools, from pre-K to doctoral programs, there is some solidarity at HBCUs that would be a danger to lose. Despite advancements against discrimination, it is important to remember that the fight for civil rights and equality still rages on – and it extends beyond the Black community. It is vital to remember why HBCUs were developed in the first place and what role they have played in the fight for justice – producing such civil rights trail blazers as Martin Luther King Jr. and Thurgood Marshall. Though the initial mission of HBCUs may have evolved with the times, the reminder that education is an inalienable right for all Americans and those who chose to study from abroad, lives on proudly at HBCUs and will always be a necessary pillar of the U.S. college and university system. Thankfully, despite the rough climate for HBCUs today, not all HBCUs are taking it lying down. In fact, many of them are thriving even today. Here are some of the many things HBCUs are doing to continue their inspired legacy. Many HBCUs demonstrate a commitment to service. For example, students at Bowie State University, a Historically Black College and University (HBCU), have created an app geared towards aiding the homeless. The students presented their idea and model in Washington D.C. at the Capitol Hill Maker Faire, a festival that allows makers who use technology to show off their ideas and models. The kiosk is made-up of “a mini-computer, wireless internet adapter, and computer monitor.” This way those in need will have the ability to check for resources at local shelters and if those shelters have space available. While this model was created by students and only presented at the Maker Faire, hopefully, such an innovative idea will receive more attention and possibly implementation statewide. The idea surrounding the kiosk has the potential to streamline county, state, and federal efforts to help the homeless and those in need of temporary shelter. This also helps Bowie State in the long-run as the university prides itself on being an educational destination for students interested in pursuing a career in science and technology. Another school, Grambling State University have started collecting books for a prison near the school during the holiday season in late 2015. The drive has attracted the attention of other HBCUs across the country who have also decided to get involved, resulting in nearly 5,000 books being donated to prisons. This isn’t the first time Grambling has held the book drive. It was the great results from the first one that made students decide to do it again and give it the official title of HBCU Book Challenge. The book drop-offs began on December 1st and were distributed throughout the month. In addition to doing good deeds, HBCUs are winning awards for their excellence. Take Florida Agricultural and Mechanical University (FAMU) for example. Their president, Elmira Mangum, was awarded HBCU ‘President of the Year’ at the AARP HBCU Awards at Hampton University. “Florida Agricultural and Mechanical University (FAMU) President Elmira Mangum, Ph.D., was awarded the prestigious Historically Black Colleges and Universities (HBCU) “Female President of the Year” Award presented by the HBCU Digest Friday night at the annual AARP HBCU Awards ceremony at Hampton University,” according to WCTV.tv. Magnum’s presence has been good for the university. The article further states how well she’s been received and awarded this past year. In addition to receiving this award, she was also honored at the Onyx Awards, named to the USDA Agricultural Policy Advisory Committee (APAC), and was placed on EBONY magazine’s list of 100 powerful people. In conjunction with Magnum’s good news, FAMU was recently named as the top HBCU in the nation by U.S. News and World Report. That’s a pretty big deal. For recruiting purposes, this news will surely be used to lure more students to the prestigious university. Hosting a president of the year and laying claim to being the best HBCU in the nation isn’t a bad way to brag on one’s school. The accomplishments of schools like FAMU that attract news attention are good for all HBCUs because they lift the credibility, relevance and overall name recognition of the schools. FAMU isn’t the only school that is worth recognizing. Raising $92 million to improve the University, receiving a $75,000 grant from the Bill & Melinda Gates Foundation, and hosting the South Carolina Collegiate Journalist of the Year are fairly significant achievements all on their own. One university can claim them ALL as its own, though. Claflin University was named HBCU of the Year by the HBCU Digest Alumni Association. According to thetandd.com, the school likely got the award mostly for its participation from its alumni, though. The involvement of graduates who are returning their financial and workforce bounty back to their alma mater are boosting the clout of the HBCU. “The combined success of the campaign and the generosity of Claflin alumni were largely responsible for Claflin winning the HBCU Digest Alumni Association of the Year Award. In 2013, alumni annual giving rose to an all-time high of 52.2 percent, among the best in the nation for all colleges and universities. Claflin continues to be the perennial leader among HBCUs in this category. Claflin has less than 5,000 students, so successfully raising nearly $100 million to improve the school’s positioning to recruit and make it more viable makes the feat look even better. Alumni involvement, specifically financially, isn’t likely to tail off anytime soon. That’s good news for any student looking to call Claflin home for the next four years and really for other HBCUs that are hoping to recruit students. And finally, one other school has a lot to brag about. Dillard University in Louisiana has always been known as one of the nation’s best HBCUs. The institution for higher education has been nominated for some awards at the HBCU National Media Summit should come as no surprise. The university’s president, Walter Kimbrough, was up for Male President of the Year, and the school was also nominated for Best Choir and Best Fine Arts Program. According to The Times-Picayune and NOLA.com, of the HBCUs in Louisiana nominated for awards, Dillard received the most. Other HBCUs from the state (Louisiana) nominated for awards are Xavier and Southern University. This is great news for Dillard as this will surely shine a bright spotlight on how well the university is doing. Heralded as one of the best liberal arts colleges in the south, it shows through the nominations that Dillard has received. Honors like this come at an important time for HBCUs that are increasingly competing with online degree programs and increasing the quality of community college offerings. Congratulations to Dillard and the other HBCUs nominated. With many minority students opting for non-traditional routes to obtain their degrees, now is a great time to embrace the online course. For students who might have to balance work, the demands of daily life, and school, the flexibility online courses offer is a perk. Thankfully, some HBCUs are catching on to this trend. Let’s look at Florida A & M University. 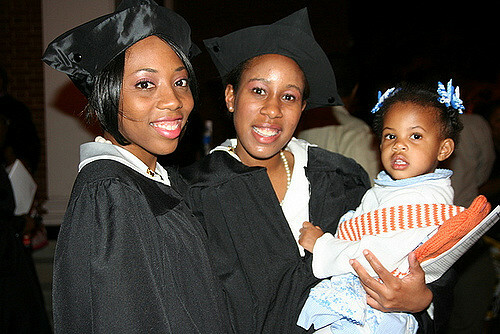 According to HBCUBuzz.com, Florida A&M and the University of Phoenix have partnered to offer online courses for minority students. HBCUs have tried to offer online courses or full degrees in the past but with little success. This project will tailor its offerings specifically towards African-American, bilingual, and poor students. So far, FAMU (Florida A&M University) has been the first HBCU to utilize the online offerings that the University of Phoenix offers. Educationnews.org reports that Phoenix “made its online platform available to historically black colleges and universities” in 2014. The end goal for all involved in the project is to increase the number of minority students, specifically African-American students, who have successfully taken classes online. Moving beyond that, FAMU likely wants to offer an assortment of degrees online. Apple committed $40 million to the project to attract more HBCU students to the tech field. Needless to say, this could be an incredible boost to diversity in tech fields which have been traditionally dominated by white males. To participate, students must be in their last year of study at an HBCU or PBI (Predominately Black Institution). Apple’s partnership cut to the heart of a well-documented issue: the tech sector and Silicon Valley are lacking melanin. According to a report by The Washington Post, companies like Facebook and Yahoo are two of the Valley’s worst offenders. By cultivating such a large effort, Apple at least attempted to curb the apparent lack of enthusiasm that some minorities hold towards the tech field. The news comes as HBCUs are under scrutiny for effectiveness and if black students are better served by attending Predominately White Institutions (PWI). Some HBCUs are struggling to survive due to debt, but this report shows that the product being produced at America’s predominately black colleges and universities is pretty good. For anyone who has been lauding the relevancy of HBCUs for some time now (like me), this is music to our ears. The study found that over 50 percent of HBCU graduates who were surveyed viewed their prospects after graduation as positive while just under 30 percent of black graduates from PWIs viewed them as positive. Again–all good news for soon-to-be graduates and the health of HBCUs. Of course, there is always a ‘but’ when studies are released. That news is likely tied to the overall health of the economy and how graduates may find their place in an ever-changing workforce. I’m also not sure what the definition of “thrive” is in this case. There is a difference, I think, in being comfortable or being affluent. Overall, though, this news is great for HBCUs and the students who attend them. The report found that graduates from HBCUs are better emotionally, have stronger relationships, and are more goal oriented as well. During HBCU Week at the White House in September 2015, education leaders gathered to talk about the future of Historically Black Colleges and Universities. Vice President Joe Biden spoke to those gathered regarding the role that HBCUs play in America’s economy. Biden also noted that many volunteers from his first campaign for Senate were from Delaware State University, an HBCU he leaned on for support. In addition to talking about the importance of sustaining HBCUs, Biden spoke of what the Obama administration has done to aid in the financial success of HBCUs, stating that the federal government invests about $1 billion into the collection of colleges each year. But there is still work to be done regarding the health of many HBCUs. Some are facing financial ruin, and others are teetering on the edge of collapse. This conference will surely help to quell some of those fears as the White House works to reassure leaders that they are there to support and help to ensure that HBCUs are here to stay. Believe it or not, HBCUs have the support of more than just their students and alumni. Known for his zeal for supporting Historically Black Colleges and Universities, host of the nationally syndicated “Tom Joyner Morning Show” Tom Joyner gives away scholarships to a high school senior planning to attend an HBCU every year. Joyner is not the only one to award money to those who attend HBCUs. Coors Light ended the HBCU (Historically Black College and Universities) classics football season by providing $100,000 in scholarships to HBCUs across the country. According to lasentinel.net, Coors Light gave scholarships “benefiting juniors and seniors aged 21 and older” who attended HBCUs. The support that Coors shows for HBCUs isn’t new. Over the past 25 years, Coors has given over $1 million to support higher education over the past seven years. The bottom line is that people and corporations from all walks of life, whether they are radio show hosts or former athletes, see the value of HBCUs as a cultural legacy and as a haven for minorities, low-income, and other non-traditional students. HBCUs, in general, are enduring many problems today, but they still manage to rise above it all with their efforts and with the heartfelt support of others. I’m encouraged to learn about HBCU’s and the tremendous efforts it has fabricated to enhance learning experiences. I look forward to reading more of the positive impacts HBCU’s has performed in the education landscape and the American economy. You deserve thanks and praise for your commitment in bringing to the public such vital information. Thank you for the update on HBCU’s. It is clear there has been a serious transformation in the education sector and HBCU is not left out on the agenda. It has ushered in a new era of doing things and regardless of this changes I am proud that HBCU’s still stand out of the crowd.